Another hectic year comes to a close and it is now time to choose my favourite ten photos from the thousands that I have taken this year. 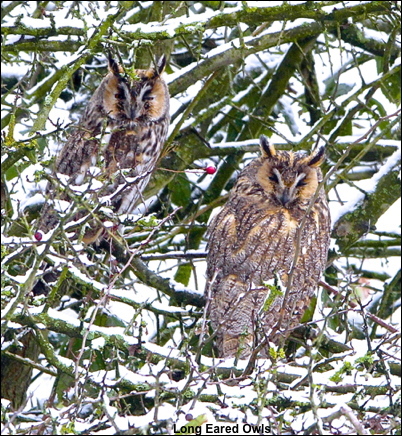 It is never an easy choice but top of the ten must be the male Long Eared Owl hunting at dusk. I have always dreamt of this photo and he finally flew past me and gave a perfect stare in my direction. The first three months of the year were all about Waxwings – my favourite bird. I concentrated on flight shots and was very happy with the two photos in the top ten. The Kingfisher season started well with food presentation and copulation in March but sadly cattle destroyed both nests and the Kingfishers may now move to another site. On Islay both male and female Hen Harriers used a post put out for them – another first for me and a Golden Eagle hunted the sea-cliffs without knowing I was there to capture the ultimate photo when it landed. Speyside produced more fishing Ospreys with very little light at 5.00am! !